Upper Flood Swallet on Mendip is one of the best decorated caves in the UK, a tremendous result for the diggers who put in so much effort for so many years to open a way through into this superb cave system. A series of crawls and squeezes, followed by a convoluted route through a boulder choke, brings the lucky visitor to the Departure Lounge, from which point onwards there is a truly awesome display of flowstone, stalactites and stalactites. There is (quite rightly) a strict leader system in place for visiting this cave. It should be on every caver's list of places to visit; it's most certainly worth the effort! 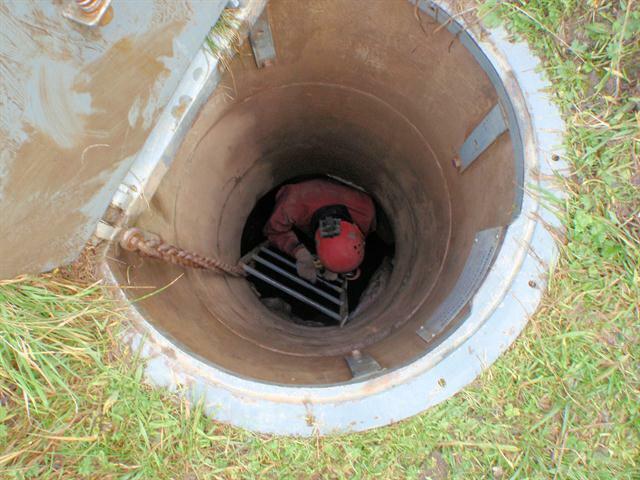 The entrance to Upper Flood Swallet is a well engineered concrete-lined shaft equipped with a chain and fixed ladder.